Last year over 1600 young volunteers raised an impressive £250,000 for families affected by the Syrian conflict by delivering chocolate cakes in Scotland, Wales and England. The combined weight of the deliveries was over 40 tonnes, equivalent to six fully grown elephants. 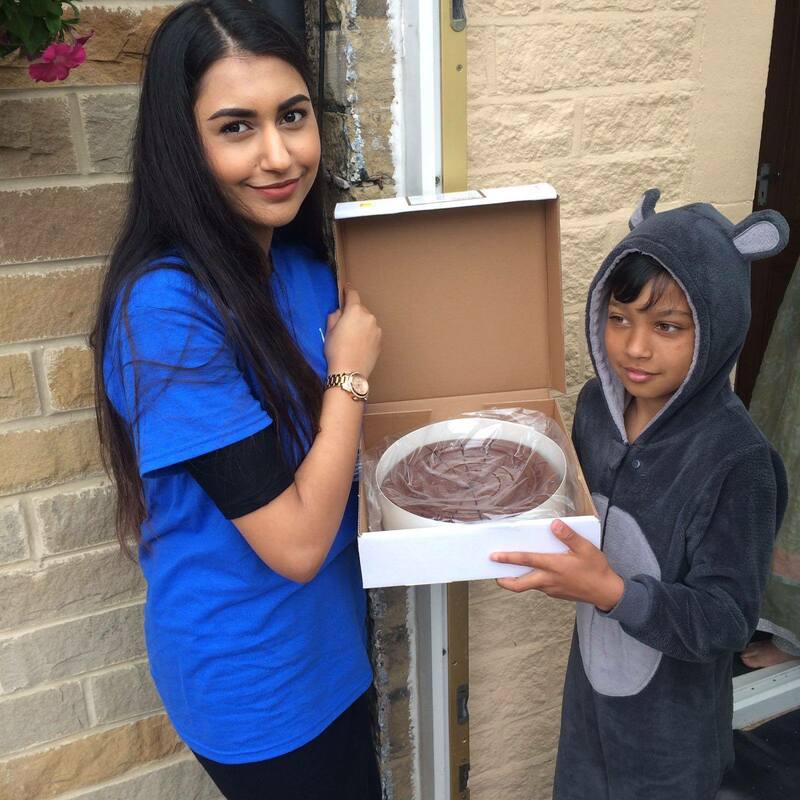 The #Cakes4Syria Campaign, which runs during the month of Ramadan, is run by young volunteers who last year delivered a staggering 40 tonnes of chocolate – fudge cake. The combined weight of the total cakes delivered is equivalent of six fully grown elephants. The fundraising scheme – which runs through the month of Ramadan – raises much needed funds for those affected by the on-going humanitarian crisis in Syria. An estimated 13.5 million are in need of humanitarian assistance and more than 11 million people – more than half of Syria’s population- have been displaced, with 4.8 million seeking refuge in neighbouring countries. The #Cakes4Syria campaign began life in 2011 when a group of young Muslims from Bradford decided that they could no longer stand by and watch as the people of Syria continued to suffer. Since 2011 the campaign has expanded nationwide and gone from strength to strength. It now employs over 1,000 volunteers, delivers to more than 1,000 UK postcodes, and generates over 1 million social media interactions. The #Cakes4Syria campaign forms part of Islamic Relief’s annual Ramadan Appeal. The theme of this year’s campaign is ‘SubhanAllah’ which means “Praise Allah” and celebrates the contribution that Muslims have made in halving extreme poverty around the world. The campaign, which launched on 6 June, has already garnered global attention and has been reported as far afield as Australia, the USA and India.